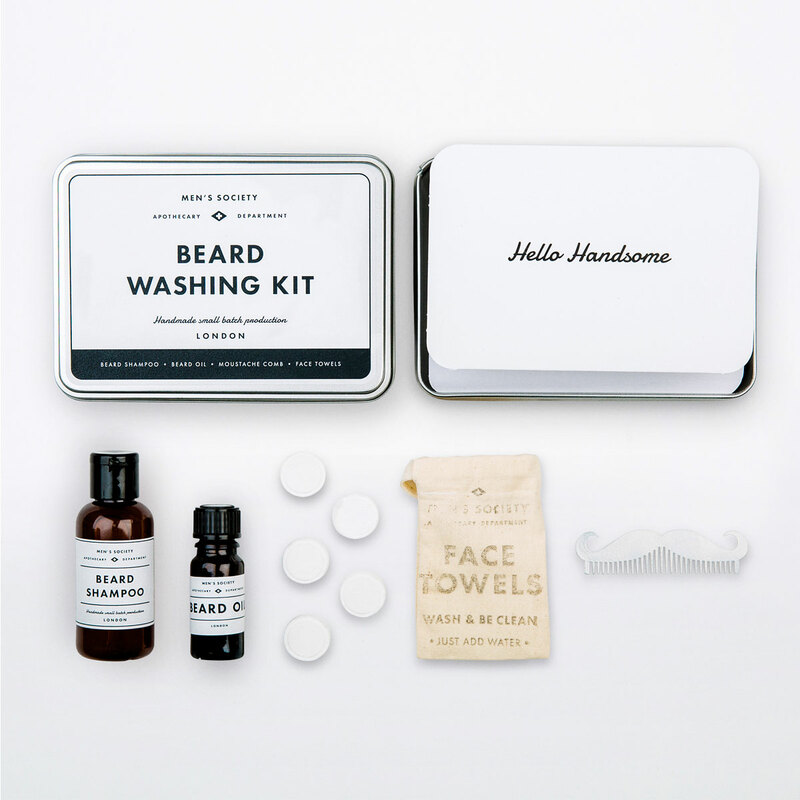 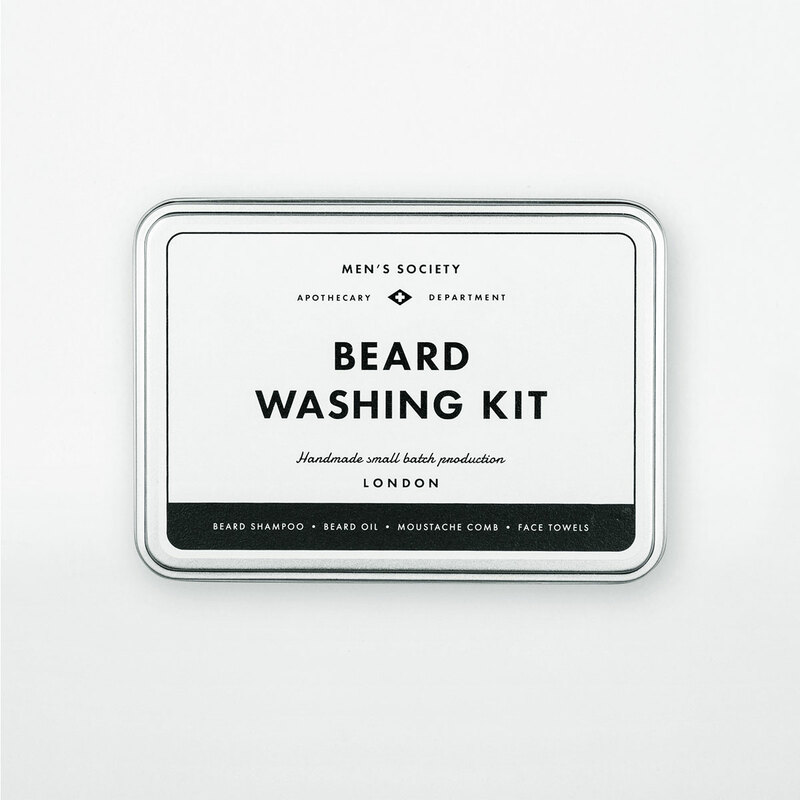 Containing all you need to tame, clean and condition your beard and the skin beneath. 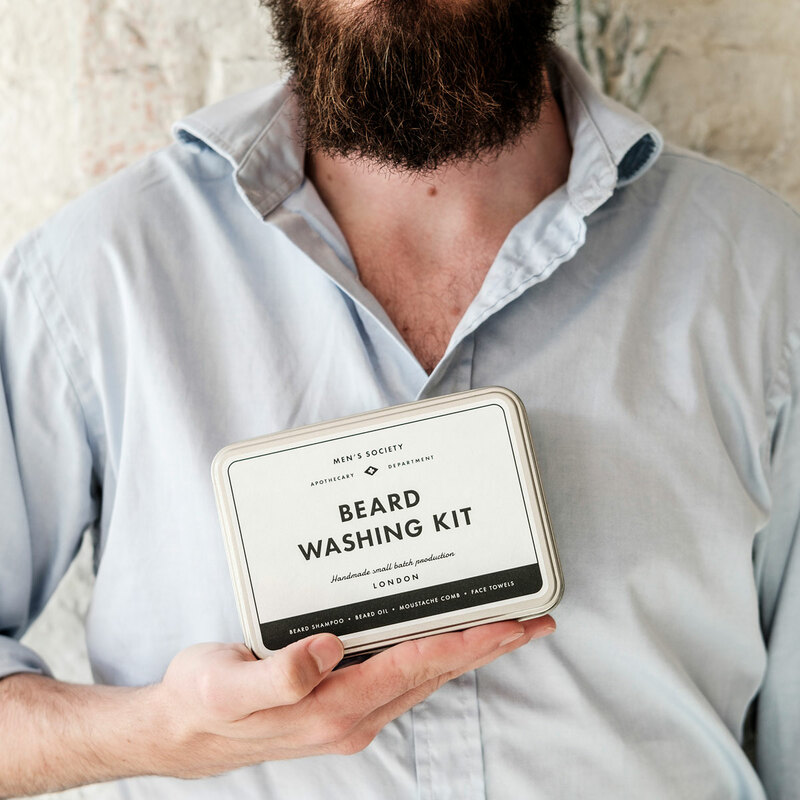 The gentle beard shampoo is tough enough to clean a course manly beard while being soft on your face. 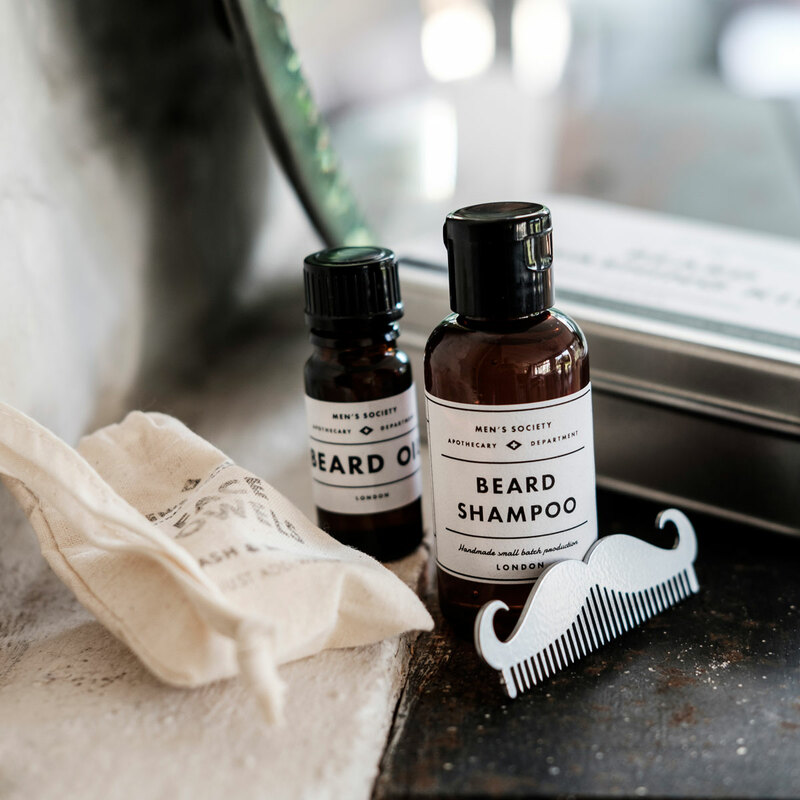 A Moustache Comb to tame and de-tangle unruly hairs. Expanding face towels to open pores, ready for the beard oil’s restorative and conditioning properties.